Can Alzheimers be Prevented even Alzheimers Early Stage? Alzheimers Early Stage be Helped? Can Alzheimers be prevented? What are the medical scientists saying? Can Alzheimers early stage be slowed or stopped? Fortunately, Alzheimers prevention may be easier we thought! Yes there are low-cost ways to slow and prevent Alzheimers disease! How? Medical scientists have found targeted nutritional interventions shown to work. Can Alzheimers be Prevented with Nutrition? There are many studies showing the best nutritional interventions! There are experiemental studies with animals, and studies with groups of people showing how to improve BOTH "neuronal plasticity" AND "function." This means both the ability to learn new things and theability to do things can be improved! They say that yes, you can “modify the disease process,” especially in the early Alzheimer Disease stages. A Vitamin that Can Slow Alzheimers? An Oxford University study showed that that taking vitamins B6, B12 and folic acid in medicinal quantities slowed brain shrinkage by 30% to 50% during the two years of the study. This improved memory, language and other mental functions. Participants were taking supplements of Vitamin B6, Vitamin B12 and folic acid. These low-cost supplements cover a lot of bases, so they are worth taking for Alzheimers prevention, especially for early signs of Alzheimers! When you take folic acid and B vitamins it lowers the homocysteine in your blood. This is very important because high levels of homocysteine damages blood vessels and increases risk of dementia. Why take supplements? Elderly people can't absorb these vitamins as well from their diet, or their diet may be lacking, so that supplements are typically needed. Vitamin B12 absorption is even trickier, so it is best to get the "sublingual" type for under the tongue. The people in the study took dosages of 0.5 milligrams of B12, 0.8mg of folic acid and 20mg of vitamin B6. This research showed that vitamin treatment can help with memory, language and other mental functions. Folic acid and vitamin B slowed the development of MCI, the mild cognitive impairment that leads to Alzheimer’s. This is remarkable considering it is a simple Alzheimers cure, when the meds only marginally help Alzheimers symptoms and have horrible side effects. Scientists Agree on How Can Alzheimers be Prevented! The research that this vitamin can slow Alzheimers is so compelling that scientists world-wide are urging its use for the elderly. Can Alzheimers be Prevented with Vitamin E Treatment? Yes, vitamin E treatment in Alzheimers is important because it is a key antioxidant, so it helps to protect. 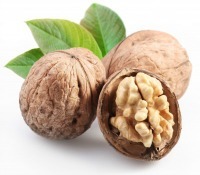 Omega-3-fatty acids protect against dementia. 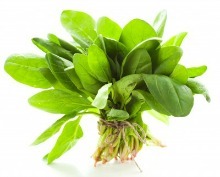 How do omega EFA's work for treating Alzheimers? Researchers are certainly saying that using omega supplements (EFAs) can lessen the burden of these diseases! Antioxidants protect, including vitamins E, C, but most important is the protective MASTER ANTIOXIDANT called glutathione, GSH. This protective antioxidant can best be replenished in the brain by taking a proven protein supplement to rebuild glutathione in the brain. Taking it in pill form does not work, but a glutathione-building protein will cross the blood brain barrier and replenish this antioxidant. How Can Alzheimers be Prevented with Glutathione GSH treatment? "Adams and his research team found that glutathione GSH levels diminished in the area of the brain involved in short-term memory (hippocampus)" of Alzheimers patients. Best Alzheimer natural treatment proven for GSH glutathione and how people benefit. Studies showing Alzheimer causes related to glutathione GSH DEPLETION in the brain. Spices and Herbs for Alzheimer's Disease? Tumeric and Alzheimers: Eat Curry For Preventing Alzheimers Disease? Why does India have a very low rate of Alzheimers disease? Researchers have traced the fact that very few people in India get Alzheimers to the anti inflammatory action of Turmeric -- the spice that gives curry its yellow color. Best to eat curries for preventing Alzheimers, and Alzheimers disease stages! 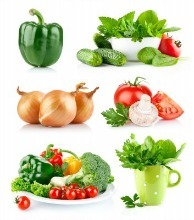 Best brain protective Alzheimers Diet? What to eat for preventing Alzheimers? Minimize foods that disrupt insulin and blood sugar balance. Why? Researchers at the The Mount Sinai School of Medicine, New York, New York, USA warn of a connection between high calorie intake, metabolic syndrome and Alzheimers Disease. They show that lifestyle, especially nutrition, can be crucial in preventing Alzheimers and stopping early signs of Alzheimers. Can Alzheimers be Prevented for Diabtecs? "Unhealthy lifestyle choices lead to an increasing incidence of obesity, dyslipidemia and hypertension--components of the metabolic syndrome. These disorders can also be linked to Alzheimers Disease." What's Different in People with Alzheimers? Are there differences in the diet of people who get Alzheimers and those who don’t? Japanese researchers compared the diets of a group of people with Alzheimers disease or with vascular dementia, to the diet of those of the same age who were free of the disease. The women especially, ate LOWER amounts of fish and green vegetables. When the researchers asessed the nutrients in their diet they found DEFICIENCIES of Omega 3 polyunsaturated fatty acids, multiple vitamins, and minerals. People who had Alzheimers had EXCESSIVE INTAKE of Omega 6 polyunsaturated fatty acids (PUFA) and relative DEFICIENCIES of multiple vitamins including antioxidants, vitamin C and carotene, and the vitamin B's as well as folic acid. Why is nutrition so Key? If you already suspect Alzheimer Disease symptoms, best to add the best brain health supplements, and Alzheimer natural treatments. No longer a question of "can Alzheimers be prevented" but which steps you can best take! How Can Alzheimers be Prevented the Best? Both folic acid and polyunsaturated fatty acids e.g. fish oil have been found to improve cognitive function and prevent depression, and dementia. The neuro-protective action of omega-3 polyunsaturated fatty acids against neurodegenerative diseases has been well documented. Antioxidants also play a key role in preventing Alzheimers, counteracting the oxidative stress that causes damage to the arteries and to the brain. 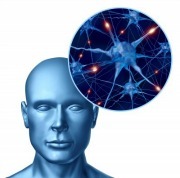 Re-build glutathione GSH in the BRAIN by using neuro-protective brain health supplements. We hope you will use out tips, for how can Alzheimers be prevented! And Alzheimers new discoveries for nutrition and Alzheimers natural treatment. An Alzheimers memory test can be intimidating, but act now, because Alzheimer causes can be helped! Whether you suspect early symptoms of Alzheimer's, or simply "don't want to go there," you can stay healthy, and certainly improve all Alzheimer disease stages. You can certainly make caring for Alzheimer's easier, and the patient more involved and self sufficient. Preventing Alzheimers is possible! Certainly you can get a new Alzheimer's test that can stop an early Alzheimer sign in its tracks. We look forward to hearing from you and your experiences with Alzheimers treatment, or Alzheimer disease stages and your experiences of caring for Alzheimer's patients! 1. Eur J Pharmacol. 2008 May 6;585(1):197-207. Epub 2008 Mar 4. van der Beek EM, Kamphuis PJ. 2. Prostaglandins Leukot Essent Fatty Acids. 2008 Jan;78(1):11-9. Epub 2007 Nov 28. 3. Published in the International Journal of Geriatric Psychiatry, by Celeste de Jager, a neuro-psychologist at Oxford. 4. ReviewOmega-3 fatty acids and neurological injury. Omega-3 fatty acids and dementia. Palmblad J, et all. J Neurochem. 2006. 5. Can Essential Fatty Acids Reduce the Burden of Disease(s)? Lipids Health Dis. 2008 Mar 18;7:9. 6. Glutathione in Health and Disease. Dr. Patricia Kongshavn, MSC, Ph.D. January 2005. 8. Immun Ageing. 2008 Aug 13;5:7.Racchi M,et all. GO TO Health Discoveries HOME PAGE from Can Alzheimers Be Prevented?